BravoStore is a Woocommerce Amazon Affiliates Theme. This is the second theme that’s 100% compatible with WZone! The first one is Visual Composer, the number one WordPress page builder plugin that enables you to easily create page layouts both in the back end and in the front end of your WordPress site. Then, there’s Slider Revolution. This is another gem that you can use to create stunning animated sliders. Another really cool plugin that you get with BravoStore is Premium SEO Pack. Premium SEO Pack contains all the features that you’d expect to find in dozens of different other WordPress plugins, and it has unique features that you just can’t find anywhere else. 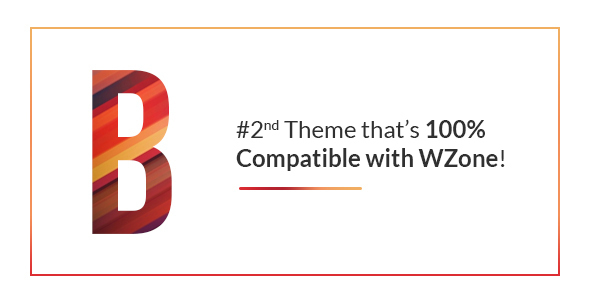 To get a taste of WZone, the theme also comes bundled with the WZone Lite plugin. Besides all of these, there are two more unique plugins – the Customizer Theme Beautify Plugin, and the Backup Manager. The Customizer Theme Beautify Plugin is a really nice tool you can use to customize the theme as you like. You can use the Backup Manager to install dummy content into a fresh WordPress install. Unique Feature – You can import the Amazon Products Ratings into your Theme’s Rating system. Then there’s the full multilingual support that the theme features. This makes the theme translation-ready for sites that are addressed to non-English speaking audiences. In total, there are 50+ theme options that will allow you to create any type of shop that you want. Get BravoStore from Themeforest and boost your affiliate earnings!